Be comfortable in your own home. Offering a personal service to existing customers as well as new. Welcome to Sykes Stairlifts. We are a family run business and have been established for over 30 years, trading from our Woodseats showroom and storing many of our stairlifts and stairlift parts at our workshop, situated very close to Meadowhall. We ensure great value on all of our products, so why not get in touch with our friendly and helpful team. We provide great customer service, no pressure sales and want you to be comfortable in your own home. 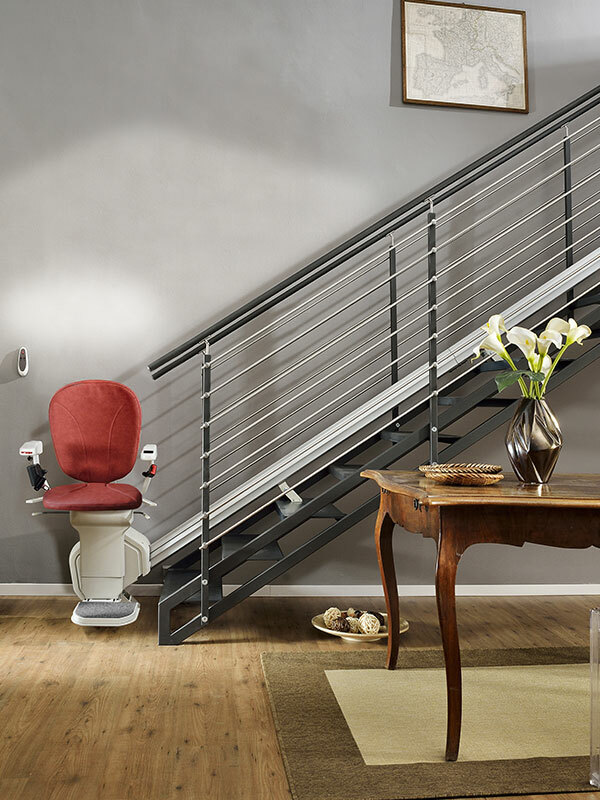 Want to buy a stairlift? 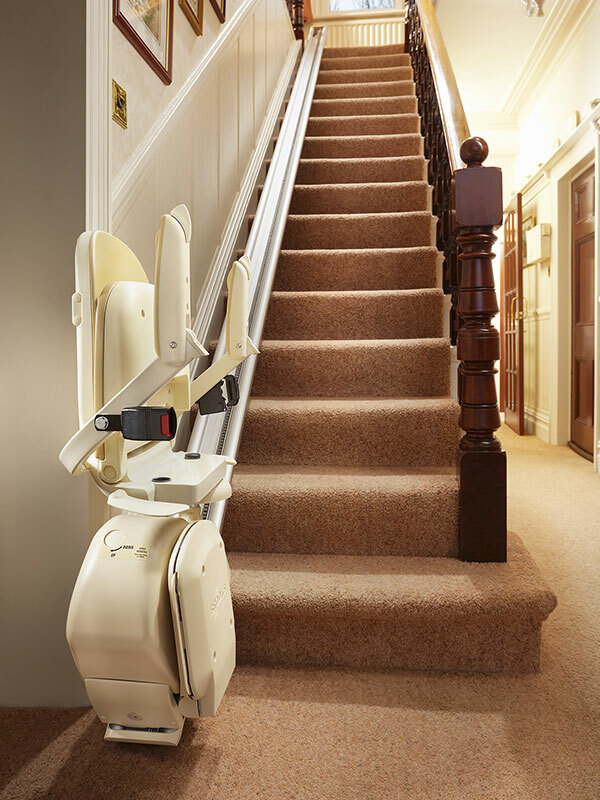 We have a fantastic selection of new and reconditioned stairlifts available to buy and to hire. 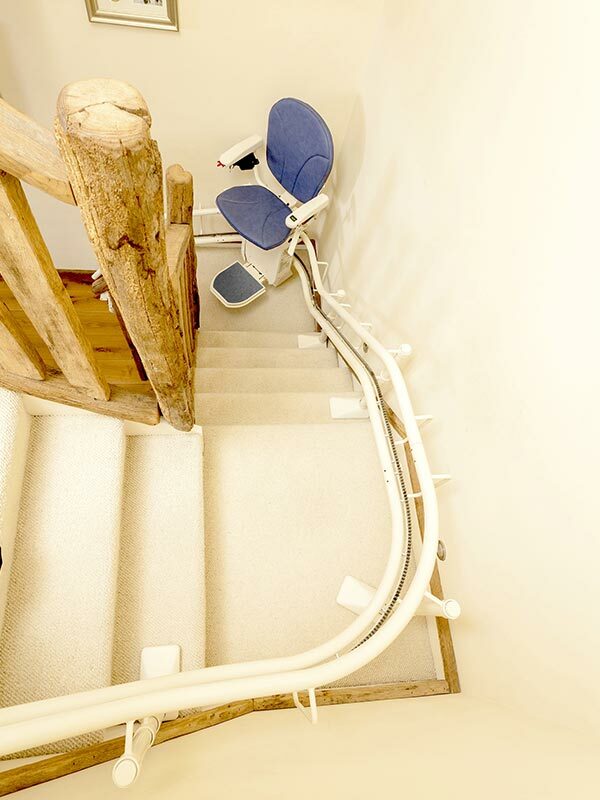 Choose our dedicated team to help you service your stairlift and replace parts if needed. Thanks for fixing the operating switch on our lift. It seems to have cured the other problems that kept occurring when only one switch was working. The lift has worked perfectly since your fitters carried out the repair. Both my wife and I wish to thank you for your excellent, remarkably quick response. John Sykes was here within 2 hours of my phone call to survey for the installation of a stairlift with a promise to have one fitted within 2 working days. 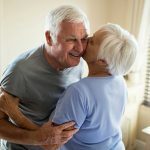 To help us with our need your installers did that job within 6 normal working hours, which was phenomenal, and we both want you to know just how grateful we are. I would like to extend a big thank you to you and your colleagues for the assistance you continue to give us and our colleagues when they require support. It is appreciated. Kind regards. Which? 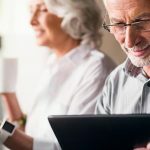 has been testing products and services for nearly 60 years and now Which? is assessing and endorsing local tradesmen and tradeswomen. Our installation service have successfully met the professional assessment standard to become a Which? Trusted Trader and we are committed to abide by the Which? Trusted Traders’ Code of Conduct.